The 2019 Board of Directors Needs You! The AFP Chicago Committee on Directorship invites the development community to submit nominations for the Board of Directors for one year terms beginning January 1, 2019. Strong leadership is a hallmark of AFP Chicago and we seek highly motivated and committed members for board service. Applications for 2019 board service are due August 22, 2018. AFP Chicago seeks directors who are committed to the non-profit sector and to advancing philanthropy in the organizations and communities they represent. Directors are committed to ethical practice, donor rights, and other tenets of AFP International. AFP Chicago is strongly committed to embracing the diversity that makes up our greater Chicagoland community. Please click here for more information on service responsibilities, criteria, and the application process. Applications are due August 22, 2018! Learn, Grow, Change, and Rethink! Take full advantage of this opportunity to learn from the best, and join other fundraisers as they gather together to catch up with the latest developments and stay ahead of the curve! We have assembled sessions to creatively address industry topics, which will encourage frank, open discussions that will impact your work and provide take-home materials to improve your personal work and professional environment. We're offering four different focuses for learning. You get to pick what you want to learn! 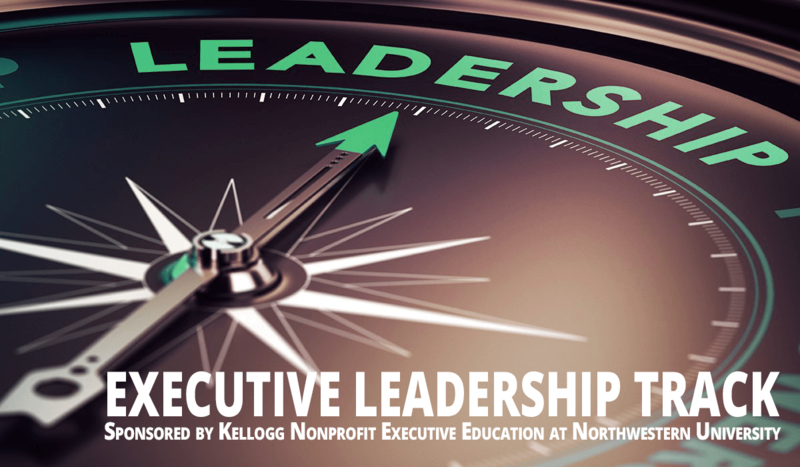 Check out one of the four focus areas, Executive Leadership! Enhance and improve your leadership thinking and practices with fresh, actionable andinspiring executive-level content which you can immediately apply! Developing Grit: How to Bounce Back from Adversity, Challenge and even FAILURE! More Education Offerings for 2018 - Register today! Two Locations ~ You Pick Your Location! Join us for a Pop-Up Program to share tips on how to create a sustainable multi-channel fundraising strategy. Audience - review of your audience, timing, and themes and to ensure these are considered prior to any development strategy implementation. Test and re-test themes, formats, and signers to see what works best. Email - do an email series where the nonprofit takes a deep dive into one topic and includes information that donors cannot easily find on the organization's website. Mail - test different looks, shapes, and sizes. Donors respond to reason, logic, and emotion. Social media - use a lot of videos and utilize social ambassadors. Why donors give; what they give to; how they give; and who they give in response to needs to be considered and reflected in the development strategy. This will also help draw out themes and segments. Know and track the following metrics at any organization: number of donors, donor giving ranges, acquisition rate, retention rate, percentage of donors increasing their gift, percentage of donors decreasing their gift and email, mail, social media, phoning, texting - performance rates. Examples will be provided as to how to track these methods. Examples will be provided as to how to use segmentation, testing, themes, audience, signer metrics to build a giving strategy. Learn and link with other fundraisers! Program details are coming soon! $30 for members - NEW, LOWER PRICING FOR MEMBERS! August 22 - last date to apply for service on the 2019 AFP Chicago Board of Directors. Click here to complete an application. For additional information, click here. September 28 - deadline for October Peer Mentoring program protégé and mentor applications. Click here to complete an application and for additional information. Last month, we covered how to leverage your mentor's network to make new connections. But once you have secured a sit down with another non-profit professional, it's up to you to plan for the ideal informational interview. When asking for the interview, assure your new contact that you will limit your interview to 30 minutes - and keep this in mind when planning your questions. Research the person you are interviewing in terms of their career and their current job. Plan 3-5 questions that are specific to your contact, their organization, and their expertise. Check in with your mentor! They can help you brainstorm other questions, or even practice in advance. If it seems appropriate, provide the questions you intend to ask ahead of the visit so the person you are interviewing can also prepare. Do you have a success story to tell us? Have you recently received an award, written an article, or achieved something outstanding? Please let us know - so that we can feature YOU in this newsletter! Please contact Pam Williams with your news.